Events are a great way for any business to interact with their wider audience, but only if they are done right. Avoid spending time and money on an event with poor attendance by working with a marketing company to maximize draw and impact of your event. We’ve worked with dozens of companies on numerous types of events, from restaurant holiday dinners to networking and speaking engagements. We can help you figure out the best way to approach your unique event needs. What are Your Business Goals for Events? Do you want to host an event? Why? Finding the business goal behind your event is the first step to making it succeed. Are you looking to get more bodies through the door? Bring together potential businesses to network and vendor for? Show your expertise in your field? Get press coverage? We’ll help you figure out the core goals for the event, and the best way to pursue them to reach your objective. Events have a lot of moving parts and deadlines that have to be met, and that’s not counting the actual marketing of the event itself. We can help with it all, from working with event vendors and coordinators and creating beautiful event collateral, to marketing through press, social media, and advertising. We’ll help you get people there, publicize the event, and help with all the coordination, from ticket sales to vendor deadlines. 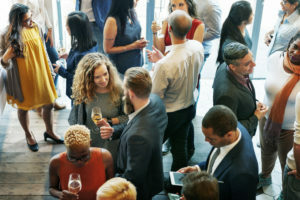 From reoccurring events to one-time press stories, we can help you create the perfect event for your products and services and help get people in the door for it. Contact us today to learn what you’ve been missing out on.